** Post may contain affiliate links. Its finally Friday and I’m looking forward to a whole lot of that pictured above this weekend … its a personal mission to make it to the beach! Not that beach unfortunately, but any beach will do. It was a nice but long week and a little sand and sea is needed. Thankfully it doesn’t look like its going to be a rainy weekend (like the past few weekends were here) and I just may luck out. Fingers and toes crossed. 1. 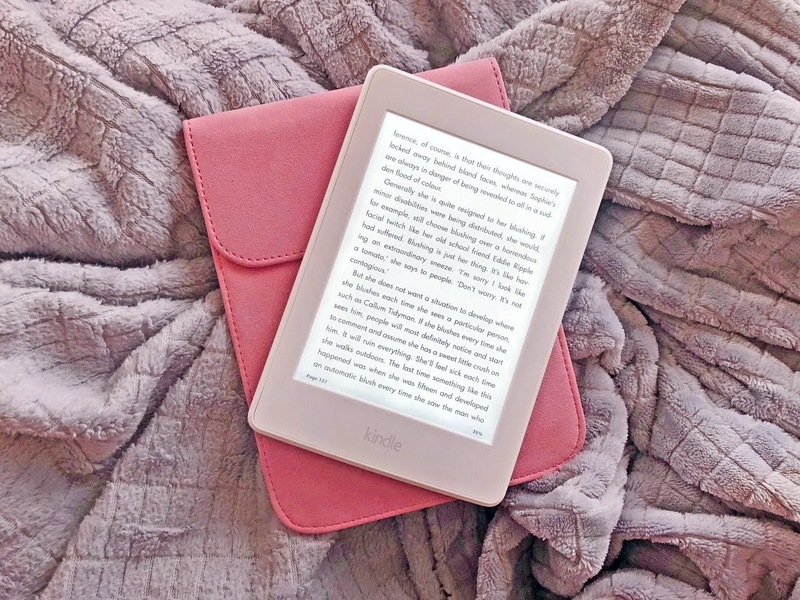 Kindle Paperwhite – I kid you not, I had been using my old school Kindle Fire since it was released in maybe 2011. I still love it, particularly the fact that books are in colour, but the battery was shot to hell … and it was really heavy (ever had a heavy kindle fall on your face in the night?). I didn’t notice it was heading downhill until the last 7 months or so when I travelled quite a bit with a kindle dying every hour (had about four ten-hour flights in that time and I walked with no physical books). So I decided to bite the bullet on a Paperwhite before we hop on our next ten-hour flight in August. So far so good. Battery life is great! Still wish it was in colour. 2. Kindle case – I couldn’t buy a Kindle without a new case. I wanted a sleeve so I could hold the kindle without anything attached and I picked up the cutest pink sleeve. Lightweight and pretty. 3. L’oreal BB Cream – Its been a bit humid the past few weeks and so I decided to try a BB cream instead of foundation (on the days that I actually do wear foundation). Since I knew I wouldn’t be using it everyday, and I just wanted to try it, I bought a drugstore BB cream and I actually like it. 4. Benefit Cosmetics Precisely, My Brow Eyebrow Pencil – I was actually sent this by Influenster. I love the pencil and the brush ends. Really reasonably priced product and it works. I may re-purchase. 5. Foot Peel – This Baby foot foot peel is amazing. I rarely ever stray from my normal routines but I saw a few people talking about this and decided to try it. The amount of dead skin that came off my feet is embarrassing. Just google foot peel video for a glimpse of the peeling process. Now, what are you up to this weekend?